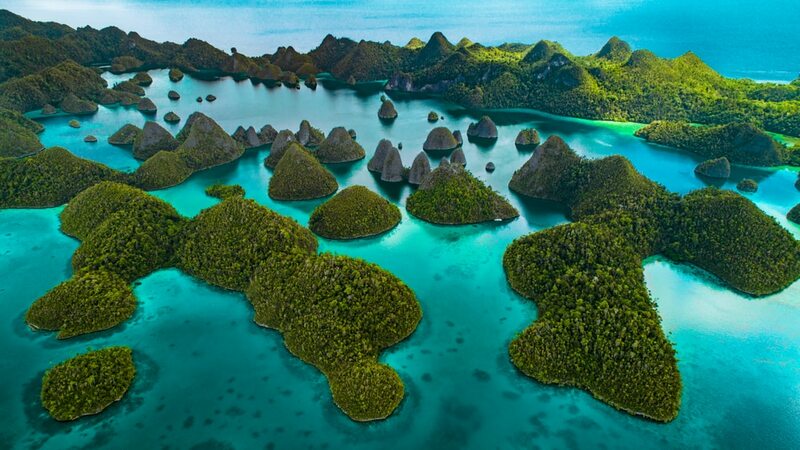 One of the most underrated destinations in the world, Indonesia spans across around 18,000 tropical islands, most as unique in landscape and culture as the next. 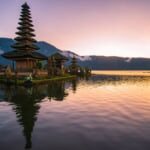 With its tourism magnet of Bali attracting most of the crowds, the other multitude of islands tend to stay well off the travel radar. 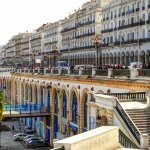 Not for long however, so be sure to check out these world-class destinations before the crowds get there! Jakarta, a mess of polluting cars, traffic jams, towering chrome skyscrapers and a gazillion gigantic shopping malls. 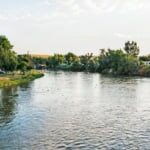 The capital is a great place to sample the highly underrated and diverse Indonesian cuisine, but can quickly get quite cloying and tedious. Especially after waiting for three hours in a traffic jam, which the city is notorious for. 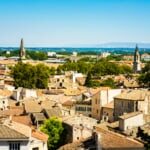 What most tourists don't realize however, is that there is an archipelago of beautiful tropical islands a stone's throw from the concrete jungle. 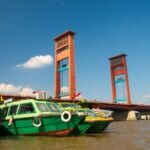 The Thousand Islands, or Pulau Seribu are dotted around the Jakarta Bay and offer the perfect getaway from the city for those reluctant to travel further afield. 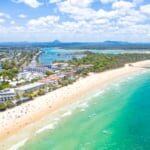 Although there isn't actually quite as many islands as the name suggests, and many are off limits, the ones available to the public are quite picturesque with gorgeously clear waters and golden beaches. 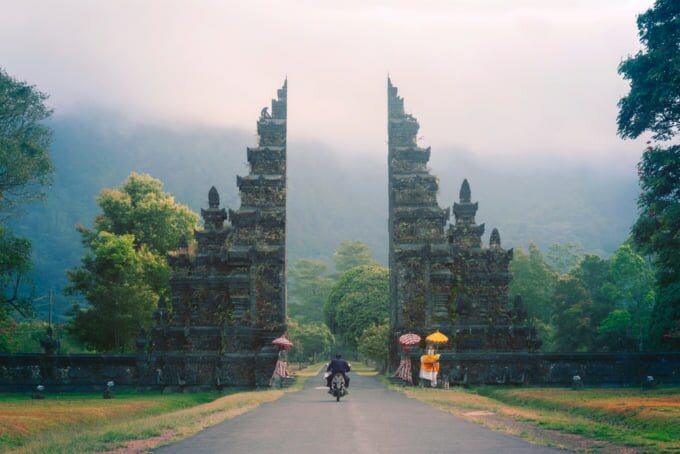 A short journey north of Denpasar and you'll arrive at the cultural heart of Bali. The town of Ubud is famous for its beautiful rice fields, highland scenery and temples that are abundant in the area. One of the most visited spots there is the Monkey Forest, a forest path wrought with banyan trees and stone temples making you feel like you've just been dropped into an Indiana Jones game. Although the area is full of fairly aggressive monkeys, it's worth braving them for the stunning scenery. Make sure to visit the Ubud Palace, once the official residence for the royal family of Ubud and a perfect representation of Balinese architecture. Known by all Indonesians for the colorful, vibrant cuisine of Padang, West Sumatra and the highlands around Padang city is famous for the distinct culture of the Minangkabau or Minang people who have populated the area for centuries. 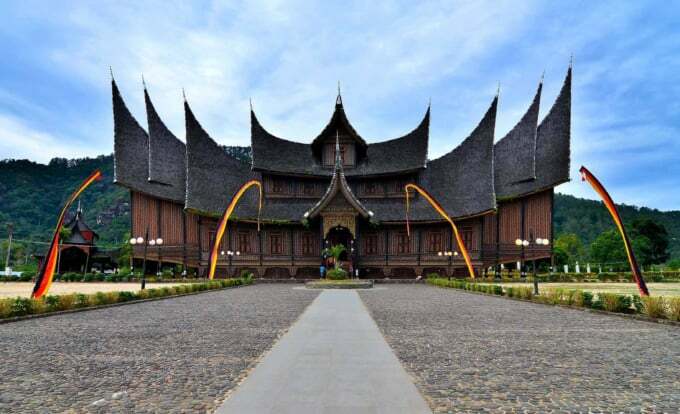 This fascinating culture is known particularly for its unique traditional architecture with dramatic curved roofs known as Rumah Gadang. 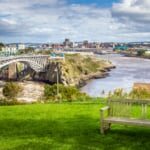 The scenery around the highlands is beautiful and hiring a driver or car to drive between the various villages dotted around the area is a must. 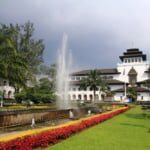 Make sure to check out the towns of Bukittinggi, Payakumbuh and Padang Panjang along with Mount Marapi for its stunning views around the valleys and peaks of the vicinity. 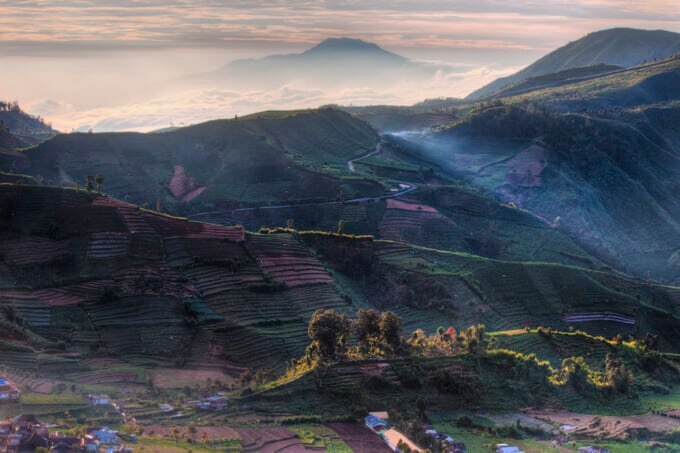 At the heart of the island of Java, Dieng Plateau is a picturesque landscape of rice fields, volcano craters and rolling hills. 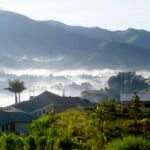 Having long escaped the plague of tourism, Dieng is a great option for those wanting to escape to a natural environment. 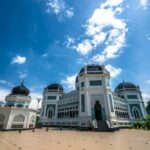 At a few hours from Java's cultural capital of Yogyakarta, it makes a perfect short getaway to spend a few days driving around the mountainous region. 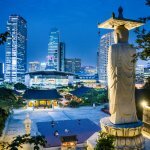 The largest Buddhist temple in the world, this huge, magnificent piece of history built in the 9th century is a spectacular sight to behold. 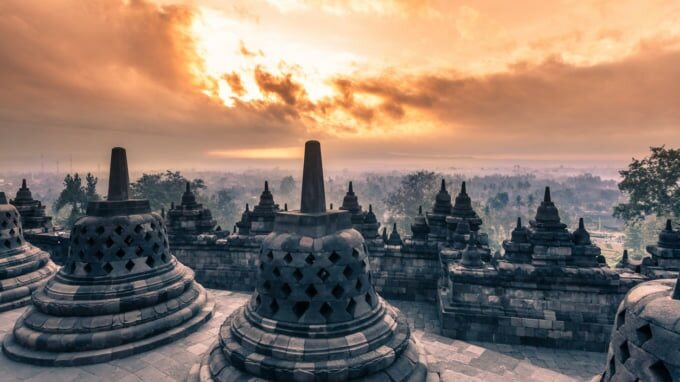 One of Indonesia's most famous and beloved UNESCO World Heritage Sites, Borobudur is an ancient masterpiece of stone carvings and Buddhist statues. Apart from the beauty of the structure itself, walking around the top layer will give you stunning views over the surrounding countryside. The only area in the world where you can find Komodo dragons living in the wild, apart from these huge lizards this national park hosts a diverse range of wildlife and marine life. It's not just the dragons that attract people to these tropical islands however, the area is home to some extremely unique and breathtaking scenery. 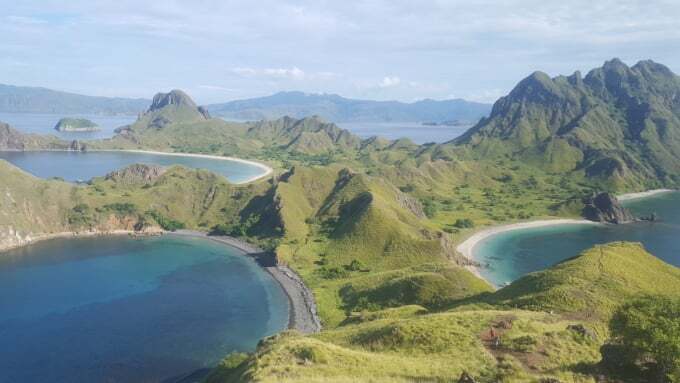 Make sure to take a trip to Padar Island (pictured above), for its panoramic viewing spot over the rugged peaks and strangely-shaped coastline. Another highly recommend spot is the stunningly picturesque Pink Beach, which gets its color from its white sand mixing together with red sand. 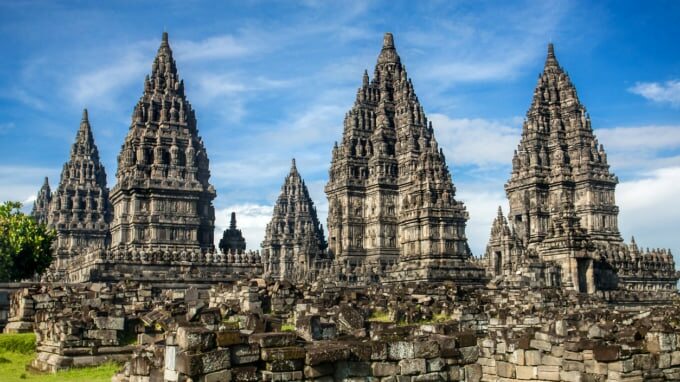 Although still relatively unknown outside of Indonesia, this is one of the most impressive and fascinating temple complexes in the world. Built around the same time as Borobudur in the 9th century, Prambanan is dedicated to Hindu gods however, not Buddhism. The architecture is beautiful and vastly different to its Buddhist sister. A stone's throw away from Yogyakarta, visitors to the region can easily take a trip to both Pramaban and Borobudur in the same day. Although the landscape and scenery of this volcano is exceptionally stunning, there's a different reason we would highly recommend a visit to Ijen Crater. 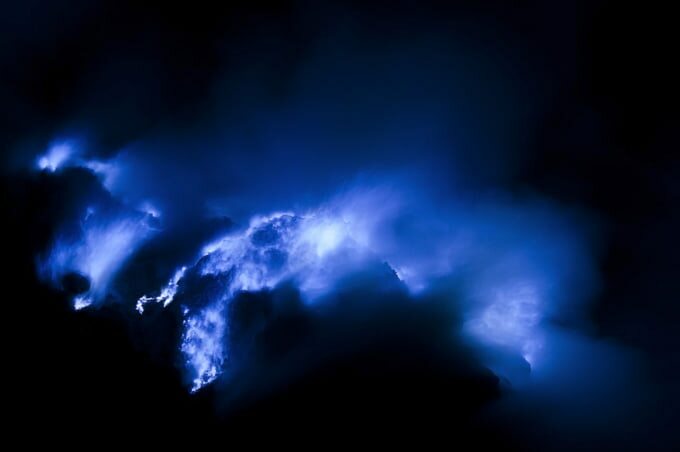 Due to the high amount of sulfuric gas found around the volcano, a highly unique phenomenon of electric-blue flames can be seen cradling the volcano. Often seeming like rivers of blue lava, the blue flame is a result of the high concentration of sulfur gases reacting with the air and combusting. This alien-like, fascinating scenery has to be viewed at night where the flames light up in a fluorescent-like electric-blue color. Arguably Indonesia's most iconic of its plethora of volcanoes, Mount Bromo lies to the east of the island of Java. 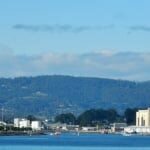 It's not the tallest mountain but hosts some of the most picturesque scenery on the island. 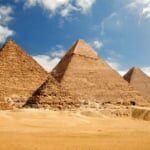 The hike is not too difficult and most people visit the mountain at sunrise when the sun's early rays light up the surrounding area adding to its otherworldly, beautiful landscape. Another underrated gem of Indonesia, Wayag Island is located in the east of the country, straddled between Sulawesi and the Papua mainland. The scenery here is exceptionally beautiful for its views over the miniature islands that look like gems scattered across the ocean. 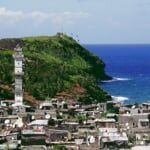 The area is also popular as a diving and snorkeling destination for its vast marine life, although usually gets overlooked by foreign tourists visiting the country. 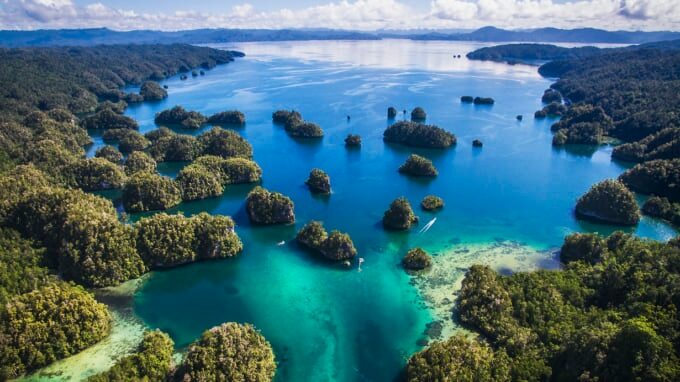 These are just a few of the amazing out-of-this-world scenery spots you can find around the 18,000 tropical islands of Indonesia, a real underrated gem in the world of tourism, we expect travelers to the region will increase exceptionally in the following years. Apart from just its fascinating tropical scenery and wildlife, Indonesia is home to some of best food on the planet, a fact that many Indonesians are tremendously proud of.